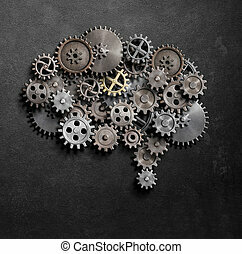 Brain gears. 3d gears inside the profile of a man\'s head. 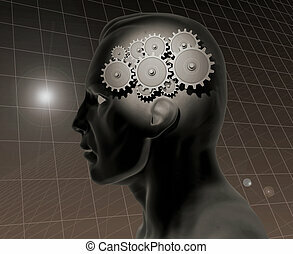 3D Gears inside the profile of a man\'s head. 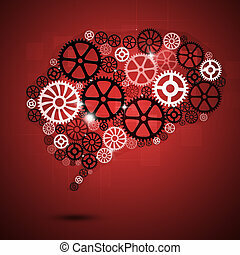 Raster brain gears icon. 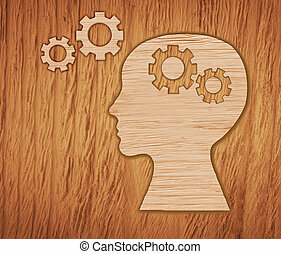 An isolated illustration on a white background. 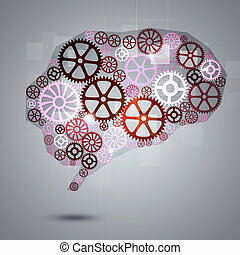 Head and brain gears concept as a symbol of human intelligence and thinking with a group of connected clouds up in the blue sky shaped as cog wheels as a metaphor for learning and education. 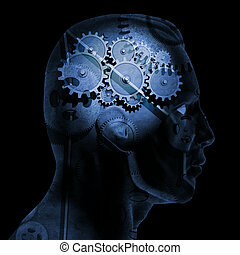 Head, Brain, Gears, visualization of process of thinking human. 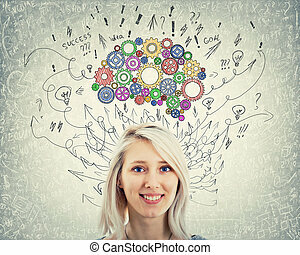 Close up portrait of a young woman with colorful gear brain above head. 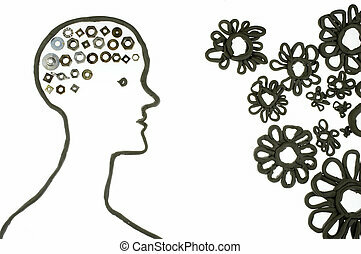 Happy emotion, positive thinking with arrows and curves as thoughts. 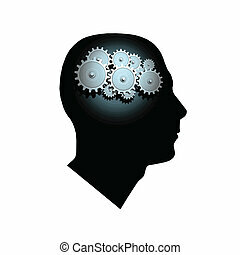 Concept for mental, psychological development. 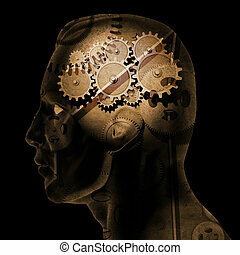 Image of gears inside of a man's head. 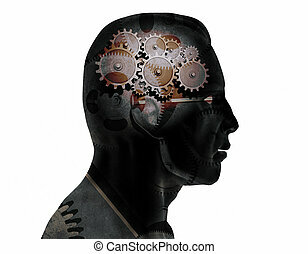 Concept image of gears inside the silhouette of a head. 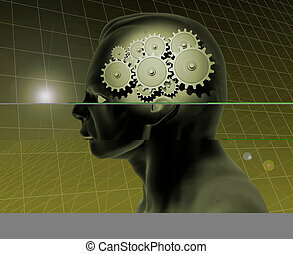 Image of a gears inside of a man's head with a grid background. 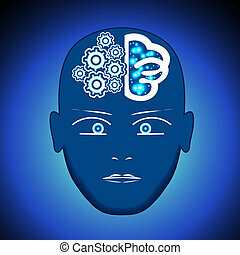 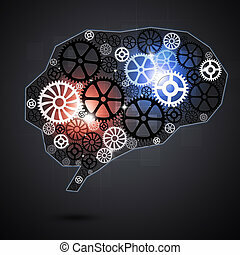 Image of a gears inside of a man's head with a blue grid background. 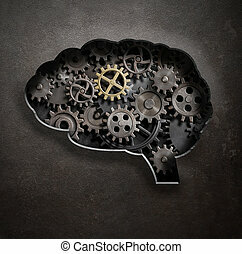 Image of various gears inside of a man's head on a black background. 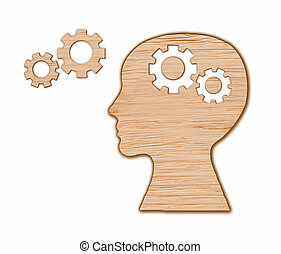 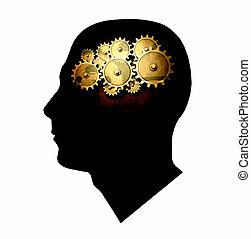 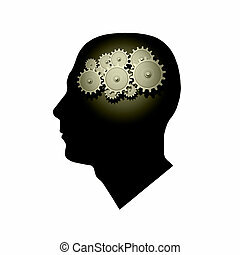 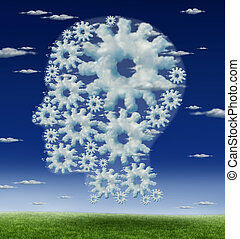 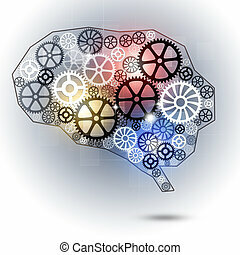 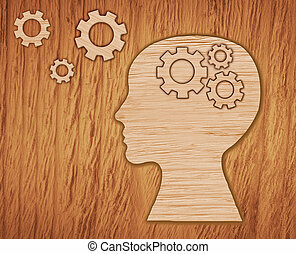 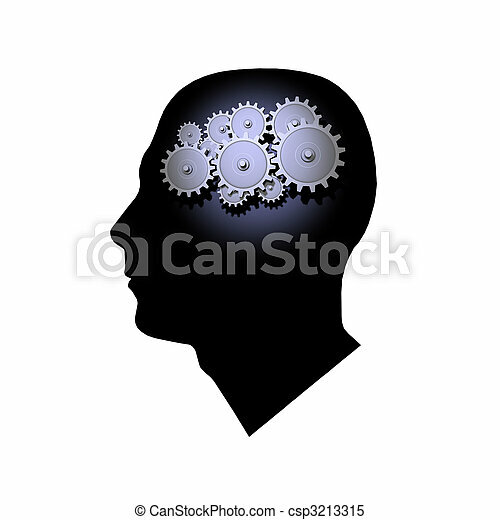 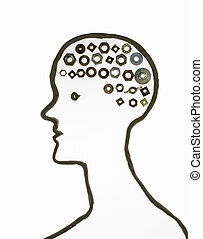 Image of gears inside of a man's head isolated on a white background. 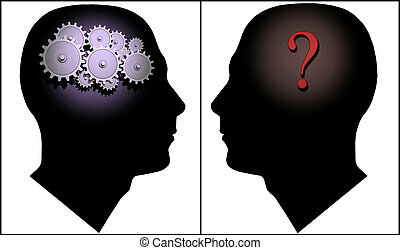 Image of two silhouettes illustrating the concept of questions and answers.